Respiratory Health Association has been a local public health leader in metropolitan Chicago since 1906. The outline below shares how the organization was established and explains our deep roots in addressing local respiratory issues. Today, the association works to prevent lung disease, promote clean air and help people live better through education, research and policy change. 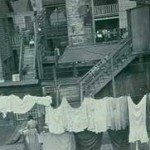 By the time tuberculosis spread to the United States in the late 19th century, it was already responsible for one quarter of all deaths in Europe. The contagious lung disease took hold in highly populated cities and quickly became the nation’s leading killer. 1906: Tuberculosis is one of Chicago’s largest health threats. Miss Harriet Fulmer and Dr. Theodore B. Sachs of the Visiting Nurse Association establish Chicago Tuberculosis Institute (CTI) on March 17. One of Dr. Sachs’s first acts as president is to open a dispensary on Elm Street. Dr. Sachs is a towering figure in the fight against TB. He becomes founder and the first president of TBI, and presidents of both the National Tuberculosis Association and Chicago’s Municipal Tuberculosis Sanitarium. 1920: In the belief that sound health practices would ward off TB, we develop the Modern Health Crusade, which encourages students to brush their teeth, bathe and exercise regularly, get sufficient sleep and take vitamins. More than 136,000 students enroll in the program. Our nurses travel among schools giving physical checkups. 1925: After a 20-year battle, we help pass legislation requiring tuberculin testing for cows providing milk to Chicago residents. 1931: In response to an influx of Mexican immigrants, we set up an office on South Halsted Street to address the TB needs of Spanish-speaking residents. We also establish a separate, culturally appropriate program for African Americans, which includes grants to Provident Hospital. 1937: Chicago Tuberculosis Institute becomes Tuberculosis Institute of Chicago and Cook County. 1940: We organize our first research committee. 1943: The long search for a TB cure is partially realized when Dr. Selman A. Waksman of Rutgers University discovers streptomycin, a breakthrough antibiotic that immediately arrests TB’s progress. 1946: To combat a still-high number of active tuberculosis cases, we partner with Municipal Tuberculosis Sanatorium to use chest x-rays to assist with TB detection. 1948: We move into our first permanent home at 1412 W. Washington Blvd., an area with Chicago’s highest TB rates. 1956: More than 1 million annual x-rays are given, up from 323,228 in 1947. The busiest x-ray screening unit in the world is at Chicago’s City Hall. Following a decline in TB deaths, National Tuberculosis Association votes to broaden its mission to include respiratory diseases. 1964: A bequest of $130,000 from Mrs. Bertha Kramer allows us to double our space and buy the 22,500-square-foot property at 1440 W. Washington Blvd., where we exist today. 1967: In partnership with Roger Blackmore, a teacher at Skokie’s Niles West High School, we develop “I’ll Never Smoke” tobacco education classes. We also distribute 50,000 “Yes, I mind if you smoke” buttons. John Kirkwood, our first Director of Environmental Health, testifies before the City Council and the Illinois Air Pollution Control Board in support of tighter air pollution standards. He also organizes the Clean Air Coordinating Committee and scores a major victory by winning an environmental suit against the IEPA. 1972: Tuberculosis Institute of Chicago and Cook County changes its name to Chicago Lung Association. 1984: Our smoking withdrawal clinic is recognized by the U.S. Department of Health and Human Services as one of the nation’s 35 outstanding community health promotion programs. 1985: Our research endowment is formed, doubling our research efforts. 1988: We organize a grassroots lobbying campaign to pass Chicago’s first clean indoor ordinance (34-8), restricting smoking in restaurants, workplaces and public spaces. 1992: We join with Alderman Ed Smith to secure passage of a Chicago City Council amendment requiring restaurants to make 30 percent of their dining areas smoke-free. Board member Diana Hackbarth leads a protest against Virginia Slims at University of Illinois at Chicago Pavilion: “A tax-supported state university has no business aligning itself with a tobacco company which promotes disease and death to its customers.” Our volunteers later draw national media attention when they picket the Democratic National Convention. 1993: Chicago Lung Association changes its name to American Lung Association of Metropolitan Chicago. 1997: We spearhead the development of a nationwide network of asthma clinical research centers to conduct large-scale asthma research. Our study on billboard advertising persuades the Chicago City Council to approve a ban on tobacco and alcohol billboards in minority areas. We launch our CowaLUNGa Charity Bike Ride. Participants ride up to 190 miles in Illinois and Wisconsin, raising money to fight lung disease. 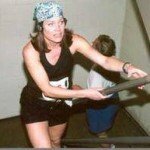 1998: We host our first Hustle Chicago fundraiser, in which participants climb the stairs of one of the tallest buildings in Chicago to support our mission. To help fight infectious disease, we administer more than 14,000 flu shots. 2001: Federal Centers for Disease Control and Prevention (“CDC”) announces the formation of the Tuberculosis Epidemiological Studies Consortium (“TBESC”), a national collaboration of tuberculosis researchers that includes the leading TB experts in the country. CDC names Metropolitan Chicago Tuberculosis Consortium, convened by RHA, as one of 21 sites in the U.S. and awards RHA a 10-year contract to coordinate TB research projects from Chicago. In the ensuing 10 years, RHA coordinates local participation in almost 20 tuberculosis epidemiologic research studies. 2001: We successfully advocate for passage of Public Act 92 0402, enabling students in Illinois to self-administer their asthma medication. Over the next few years, we work to expand this policy to include epinephrine and to enable kids at camp and after school activities to self-administer their asthma medication. We begin offering asthma management education to children and teach parents, teachers, and caregivers how to help children manage their asthma. Over the next 15 years, our school-based health programs reach more than 32,000 students, parents and educators. • READI program, which provides influenza vaccinations to 25,000 Chicagoans. 2005: We play a key role passing Chicago’s comprehensive smoke-free ordinance, phasing out smoking in all workplaces, including bars and restaurants. To reduce air pollution, we successfully urge the City of Chicago to adopt a 5-minute no-idling policy for all city-owned trucks and cars. 2006: We help pass Illinois’ first No Idling Diesel Law, limiting diesel truck idling in metropolitan Chicago and metro East St. Louis to 10 minutes. We launch our six-year Addressing Asthma in Englewood project in collaboration with the University of Illinois School of Public Health. 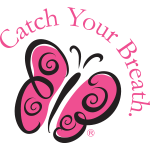 The project is funded by Merck Childhood Asthma Network. 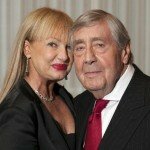 We receive additional support from Lloyd A. Fry Foundation. 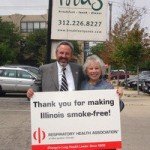 2007: We play a leadership role in persuading the Illinois General Assembly to pass the Smoke-free Illinois Act, phasing out smoking in all workplaces statewide. We calculate the new law will save more lives than seatbelts. We end our long affiliation with a national lung health non-profit organization to maintain local and statewide focus and local governance. We rename ourselves Respiratory Health Association of Metropolitan Chicago (RHAMC). RHAMC convenes the Illinois COPD Coalition to create a comprehensive Illinois COPD State Plan. The plan outlines sustainable solutions to reduce the burden of COPD in Illinois. RHAMC launches Fight Asthma Now© and Asthma Management to educate students, parents, school staff and caregivers on how to properly manage asthma. Fight Asthma Now© is validated as effective in 2011 and reported in the academic journal, the Annals of Allergy, Asthma & Immunology. As of 2017, RHA has educated more than 14,000 students in Fight Asthma Now© and more than 30,000 school staff, parents and caregivers in Asthma Management. RHAMC launches Courage to Quit®, our evidence-based, comprehensive, multi-week group tobacco treatment program for adults. The program was created in collaboration with Dr. Andrea King of University of Chicago and has been validated, as reported in the American Journal of Public Health. 2008: RHAMC helps create a public exposé on air quality levels in commuter train cars, finding that pollution inside some train cars is more than 10 times greater than outside. RHAMC helps secure $19.5 million in federal Congestion Mitigation and Air Improvement (CMAQ) funding for local rail lines to clean up diesel engines in the Chicago area. RHAMC and Cook County Health and Hospitals System established the Healthy Lungs Initiative, providing cessation and other lung health services to more than 124,000 smokers from priority populations around Chicago. 2009: President Obama signs the Family Smoking Prevention and Tobacco Control Act, giving the FDA authority over tobacco products. In recognition of RHAMC’s role in the fight against Big Tobacco, Joel J. Africk, President and Chief Executive Officer, is invited to the White House Rose Garden for bill signing. 2010: RHA is awarded a two-year, $11.5 million CDC grant to establish the Chicago Tobacco Prevention Project; RHA leads the project, in collaboration with Chicago Department of Public Health, to implement citywide strategies to reduce tobacco use and exposure to secondhand smoke. RHA’s work is regarded as contributing to record youth and adult low smoking rates in the ensuing years. 2011: RHAMC receives the American College of Physicians’ prestigious Edward R. Loveland Memorial Award. The award recognizes Respiratory Health Association’s work to support people living with lung disease through research, advocacy and education. 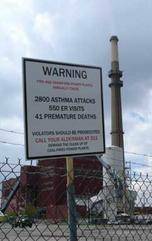 2012: RHAMC and its Clean Power Coalition partners achieve the closure of the Fisk and Crawford coal-fired power plants in Pilsen and Little Village in Chicago. These two plants were responsible for an estimated 42 deaths, 66 heart attacks and 720 asthma attacks annually. 2013: Respiratory Health Association of Metropolitan Chicago becomes Respiratory Health Association (RHA) as it expands its respiratory health efforts throughout Chicagoland, Northwest Indiana and nationally. RHA works with city health officials and policymakers to pass the City of Chicago’s historic ordinance restricting the sale of flavored tobacco products within 500 feet of Chicago schools, the first regulation anywhere to restrict mentholated tobacco products. After Chicago’s ordinance, more cities, including San Francisco and Minneapolis, act to restrict menthol tobacco. 2014: RHA advocates for the inclusion of e-cigarettes in Chicago’s Smoke-Free law. The ordinance is only the second of its kind in the U.S. Multiple Chicago suburbs follow suit in subsequent years. 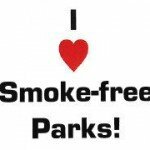 RHA persuades Chicago Park District to adopt a smoke-free policy covering all 580 parks, 90 gardens, 90 museum campuses, 9 lakefront harbors, 9 ice skating rinks and 24 miles of lakefront property. RHA partners with Cook County Department of Public Health on a three-year, CDC-funded project to increase the number of smoke-free housing options in suburban Cook County. The project results in the adoption of, among other accomplishments, a 100% smoke-free policy by the Housing Authority of Cook County. 2016: RHA serves on the steering committee for Healthy Chicago 2.0, Chicago’s four-year plan to improve health and well-being throughout Chicago communities. RHA and Chicago Department of Public Health work closely to recognize the need to address asthma, tobacco and air quality as priority public health concerns. Kathleen Hart Solovy, in memory of her husband Jerold S. Solovy, establishes the Solovy Endowment for Advancement in COPD at RHA. The Endowment creates a research award for lung disease researchers who have made outstanding contributions to COPD. RHA works with Chicago and neighboring cities (Highland Park, Deerfield, Naperville and Oak Park) to pass Tobacco 21 ordinances, raising the minimum legal sales age of tobacco products from 18 to 21 years old. 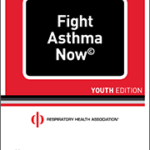 RHA successfully advocates for statewide legislation to require schools in Illinois to have asthma emergency protocols on file. RHA, in partnership with the Illinois State Board of Education, launches an online asthma management training module for school staff members to adopt such plans and fulfill their chronic disease management education requirements. RHA and environmental partners work with the Illinois General Assembly to pass the Future Energy Jobs Act, the largest state energy bill in the U.S. to date. The Act ramps up renewable energy production in Illinois, including wind and solar, expands energy efficiency programs and creates green technology job training programs for low-income and underrepresented populations. 2017: RHA is awarded a two-year grant from Chicago Department of Public Health to deliver smoking cessation programs for vulnerable populations in Chicago. RHA creates the Chicago Quits initiative, bringing together 17 community organizations across to city to provide cessation services to the populations they serve. 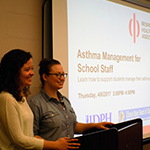 Instructors in RHA’s Fight Asthma Now© program reach a milestone of teaching 14,000 school children successful asthma self-management skills. 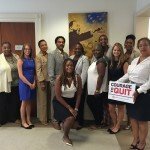 Representatives of National Urban League select RHA’s Courage to Quit smoking cessation program for its chapters in Philadelphia, DC, and Atlanta.